You can avoid brokerage costs with dividend stocks. 2. Can I Buy & Sell Stocks Online Without Paying Any Fees? After bad market environments, the next most hated element of the financial markets -- at least from the perspective of investors -- is probably brokerage fees. While technological advances and increased competition have lowered commission costs over the years, it is difficult to dodge brokerage fees. But it is possible, even with dividend stocks. With equities, including dividend stocks, as with other purchases that investors and consumers make, eliminating the middleman means lower costs. In this case, the middleman is the broker. A fair amount of U.S. companies allow investors to purchase shares directly from the company. Nearly all of these companies are large-cap or at least mid-cap dividend-paying firms. While many direct purchase plans do not subject investors to brokerage costs, they might require minimum investments, either in dollars or shares purchased. Dividend reinvestment programs, or DRIPs, represent the easiest way for investors to acquire additional shares of stock without having to incur brokerage fees. DRIPs are easy to understand as well. 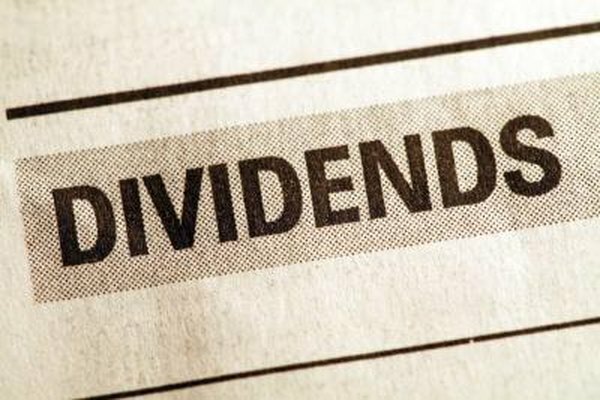 Rather than take dividend checks and cash them, investors elect to have the dividends reinvested. This can be especially rewarding for investors with long-term time horizons, because over time those reinvested dividends can create large numbers of new shares for patient investors. Companies that offer DRIPs include some of the most venerable stocks on the market, including Coca-Cola, General Mills and Procter & Gamble. Investors who did not know about direct purchase plans and DRIPs before buying shares of a dividend stock still have options when it comes to skirting future brokerage fees. For example, assume Bob buys 100 shares of Coca-Cola from Broker ABC, but Bob knows he wants to have those dividends reinvested. He can ask the broker to do that automatically for him. Most brokers will do this for investors free of charge. Buying exchange-traded funds, or ETFs, means purchasing a security that is different than a stock. But a growing number of ETFs offer investors exposure to 50, 100 or more dividend-paying stocks under one umbrella. More importantly, ETFs present investors with many more commission-free trading options than do stocks. Major brokers including TD Ameritrade, Charles Schwab, Fidelity and Vanguard offer commission-free trading on a variety of ETFs, including plenty of dividend funds.